Every time Edward “Shiny Shoes” walked down the sidewalk in front of our houses, my cousin Deana who lived next door and I would hide in the bushes. I think Edward knew we were hiding from him, but he pretended not to see us. His cane tap-tapped on the sidewalk as he walked briskly by, never looking in our direction, dressed in his Sunday best wearing a fedora. Deana and I would giggle after Edward “Shiny Shoes” was out of sight. We were pretty proud of our sleuthing skills. 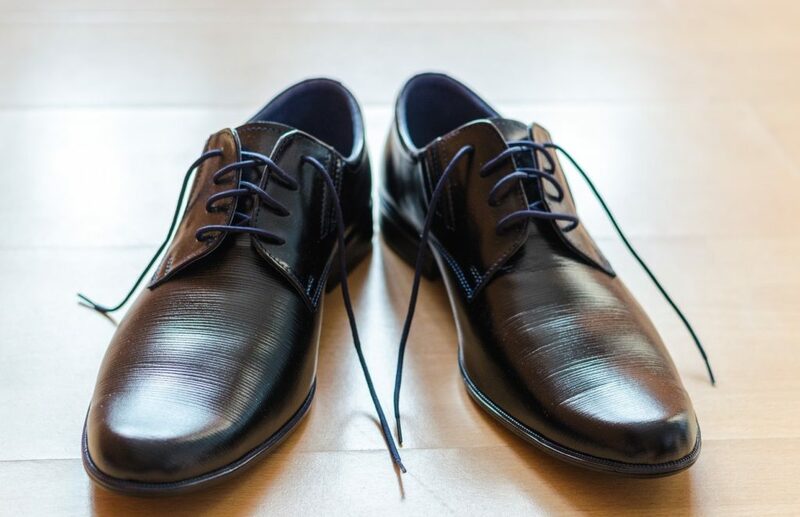 When we asked my aunt how “Shiny Shoes” got his name, she simply said she didn’t know his last name, but his shoes were always polished to a high sheen so she nicknamed him “Shiny Shoes.” Because he walked about the same time every day, Deana and I knew when to expect Edward to come walking by. Exactly on time, Edward walked briskly by as we hid in the bushes. The cane tap-tapping on the sidewalk. As Edward rounded the corner. I slipped out of the bushes and ran down to the corner, peeking around. Edward was quite far down the block already. I looked back at Deana hesitantly. She shouted, “Go! Go!” I turned the corner, hiding behind street lights and garbage cans as I tried to catch up. Edward looked back once or twice that I could see, but luckily, I was tucked behind something, so I know he didn’t catch me. I followed him all the way to the Sun Haven Nursing Home. Edward “Shiny Shoes” walked in the front door, taking off his fedora, stopping at the front desk signing something and then walked down the hall on the left. I stood there debating as to whether or not I should go back defeated, admitting to Deana that I failed, or to press on with the dare. I ran out of Eeny-Meeny-Miney-Mo fingers and lost. I had to walk in the front door of Sun Haven. The receptionist was on the phone with someone. She didn’t notice when I went to the left stopping at each door to look in. There was an old man watching television, a lady in the next room calling for her mother, and then an empty room. I was thinking I shouldn’t be here when I spied a pair of shiny shoes behind a partially closed door. I quietly tip-toed up to the open door and peeked in. There in bed sat a beautiful older woman with silver hair. She wore a pretty jacket wrapped around her shoulders. It was yellow with little pink flowers. She giggled when Edward told her how lovely she looked today and thanked him for coming to see her. I knew I should leave then, but I didn’t want to. There was such happiness and love in her eyes. She told Edward about going dancing last night at the Grand Ballroom and how her feet hurt so badly because she couldn’t stop dancing. She needed to rest them today but they would be better tomorrow. Edward told her that it was perfectly understandable that her feet were so sore after all of that dancing. He told her she should rest today so she could go to the Grand Ballroom again, soon. I snuck back down the hall. The woman at the reception desk was still on the phone. A sign-up book lay on the desk near the door. I looked at the book. The last visitor was Edward Cormack. The sign posted at the hallway door gave the names of the residents living in that hall. Room #4 Edna Cormack. Walking back to report to Deana I thought about Edward “Shiny Shoes” Cormack and how dedicated he was to his wife to go and see her every day, rain or shine at the same time. I felt a little bad to be spying on him, but I was grateful to know a little bit more about him. Every day he dressed in his finest to have a date with his wife confined to Room #4 at Sun Haven. Somehow, it felt like I was betraying Edward by sharing his story with Deana. I rounded the last corner. Deana came flying out of the bushes. “So where does he go? What does he do?” I thought about telling her the truth and then my shoulders slouched. I argued back “He walks pretty fast!” Deana snapped her fingers. “No, let’s go play Barbies. I have a new outfit to show you.” Deana looked down the sidewalk to see if Edward was coming back. “Okay, I’m going to get my Barbie stuff. You wait here. If he comes past, you have to do the dare.” Deana ran into her house. I watched Edward “Shiny Shoes” Cormack rounding the corner praying that he’d walk faster and get out of site before Deana came back. Tap-tapping, Edward tipped his hat as he passed me. “Hello, Mr. Cormack.” I said. “Shari.” He replied back. He knew my name! My jaw dropped, then he disappeared around another corner. Dawn DeBraal lives in rural Wisconsin with her husband, two rat terriers and a cat. Recently retired she is learning that her love of telling a good story can be written. Her works have been published in Spill Words, Mercurial Magazine, Blood Song Books, Palm-Sized Press, and others. I enjoyed this story very much! Touching!